BELIZE CITY—Since Belize Natural Energy began producing commercial crude in 2006, roughly $1.5 billion worth of crude oil has been sold on the local and foreign markets with an estimated volume of 9 million barrels, resulting in the Government of Belize netting $424 million in receipts and landowners netting $5.3 million in royalties. 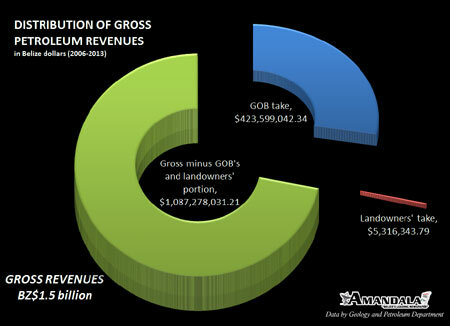 This is according to figures published by the Geology and Petroleum Department. No figures are currently available to indicate the profits earned by Belize Natural Energy, but we were advised that expenditure information, which would allow us to determine the extent of BNE’s cumulative profits, would eventually be available. 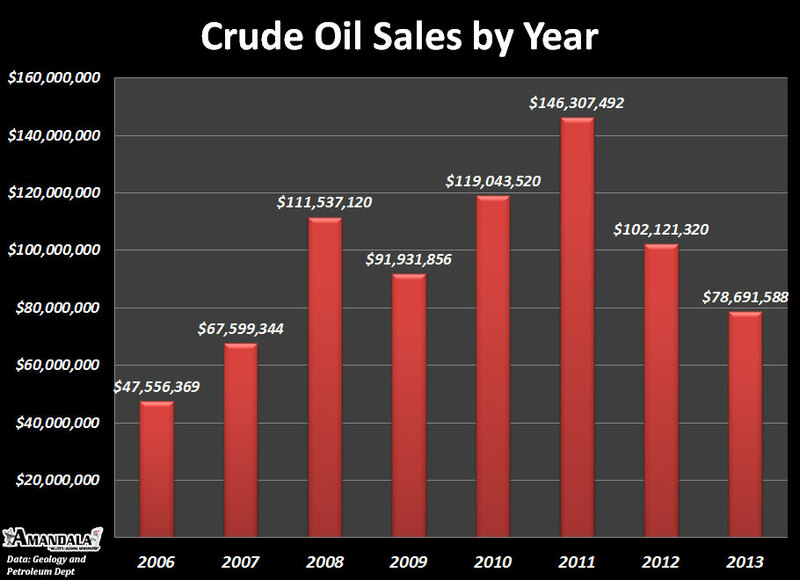 Belize Natural Energy, which operates in Cayo in western Belize, is still the only company producing oil in Belize, but after hitting a peak of $146 million in 2011, crude oil sales have been on a rapid decline. The Government of Belize now hopes that a commercial oil find in the south of the country could result in a rebound in petroleum earnings. According to Andre Cho, Director of Geology and Petroleum, hope of a commercial find rests with Maranco and US Capital. He said that whereas BNE continues production at two oil fields: Spanish Lookout and Never Delay, production has continued on the decline and the company, whose concession area now spans 34 square miles in Cayo, has about 8 years left for production in Belize. Meanwhile, Maranco, which is exploring in northern Belize, continues testing its wells. Cho said that the company is trying to look at different ways that they could test the wells and to see how much could be produced. We asked Cho what the prospects are for a major oil find in the South. “The potential is good but we will only know if we drill,” he said. Cho explained that US Capital has two primary target sites in Toledo. The first, as we told you last week, is roughly 800 meters within the borders of the Sarstoon Temash National Park, and the second, said Cho, is closer to Crique Sarco. We queried how much time US Capital has on its contract with the Government of Belize. Cho explained that on January 22, 2008, the Government of Belize amended the effective date of the US Capital contract, to compensate for time lost due to the dispute with the Maya over the project. “Government amended it in a way, to give back the years lost,” said Cho, noting that the exploration period ends January 21, 2016. 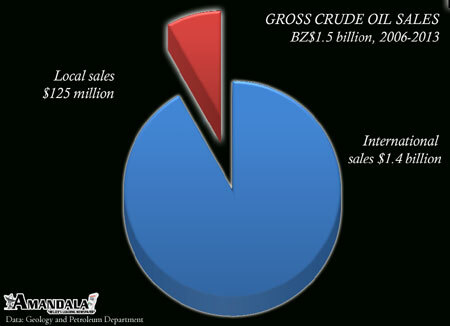 He indicated that the company (if it finds oil) will be given 25 years, as BNE was, for production. Cho confirmed that he had recently visited the site where US Capital intends to drill. He said that the company is putting the drill rig together, and it will take another week or so for them to complete the process. As for official monitoring by his department, Cho told us he and the three other geologists at the Department will continue to conduct constant monitoring at the drill site. 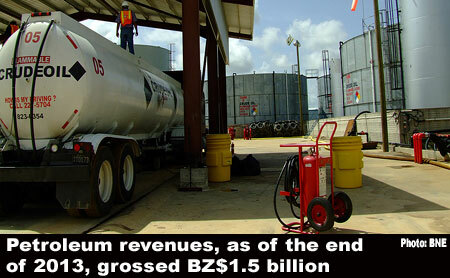 Back in 2010, we reported that there were 18 petroleum concessions in existence, covering nearly all of Belize. Today, that figure is down to 9, according to official information published by the Geology and Petroleum Department. 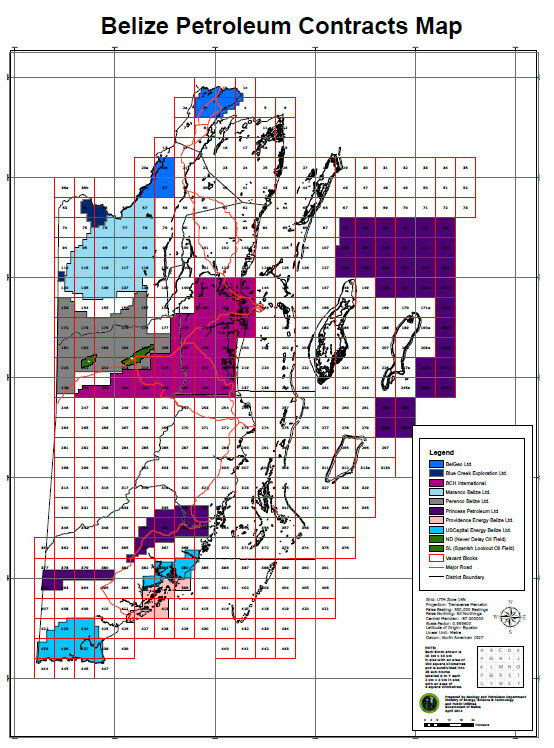 According to the official information, these concessions cover roughly 4,500 square miles (or about 3 million acres) of onshore and offshore territory. 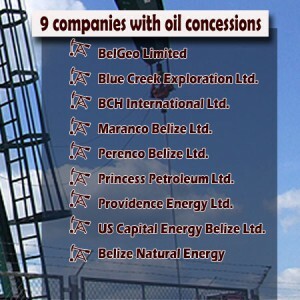 BelGeo Limited, Blue Creek Exploration Ltd., BCH International Ltd., Maranco Belize Ltd., Perenco Belize Ltd., Princess Petroleum Ltd., Providence Energy Ltd., US Capital Energy Belize Ltd. and Belize Natural Energy are the 9 companies with contracts. Princess Petroleum has about a million acres offshore under its concession, but Cho said that no offshore works have been carried out by that company. Meanwhile, Cho confirmed that US Capital is getting ready to drill; Perenco is processing seismic survey results, while BelGeo and BCH are shooting seismic. Nothing is reportedly happening with the contracts for Princess Petroleum and Blue Creek Exploration, which has a partnership with New World Oil and Gas, Cho told us. We asked what happened to Paradise Energy Limited, which had been given an extensive oil concession over the Maya Mountain Massif. Cho said that the company had relinquished its blocks.